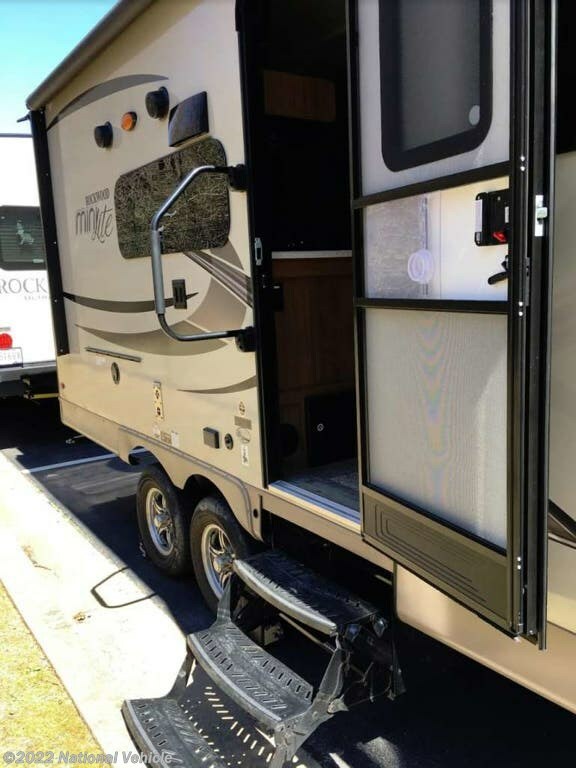 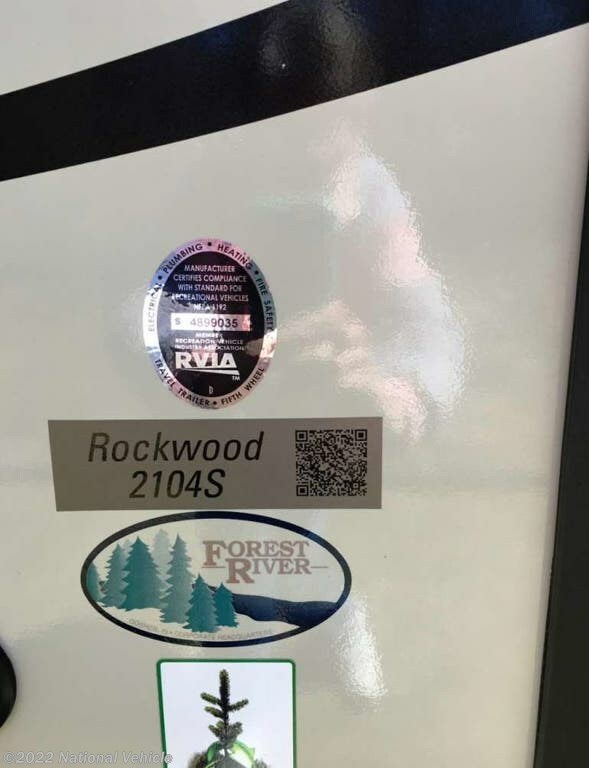 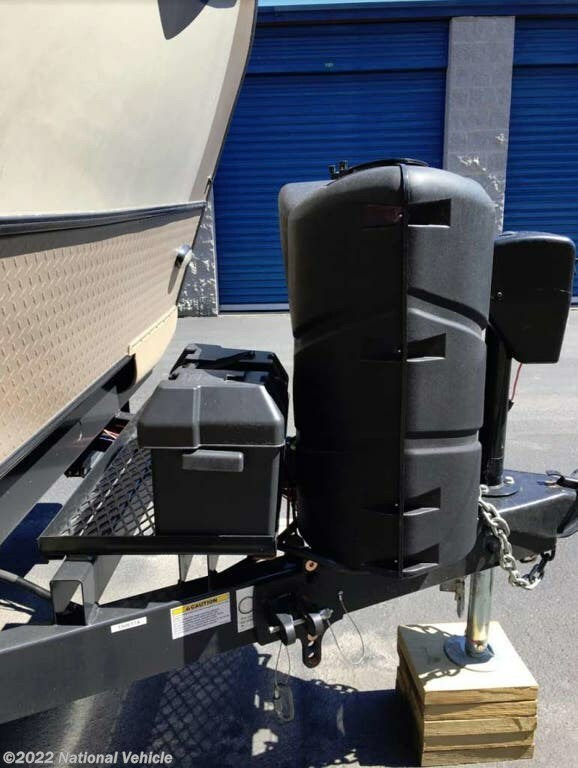 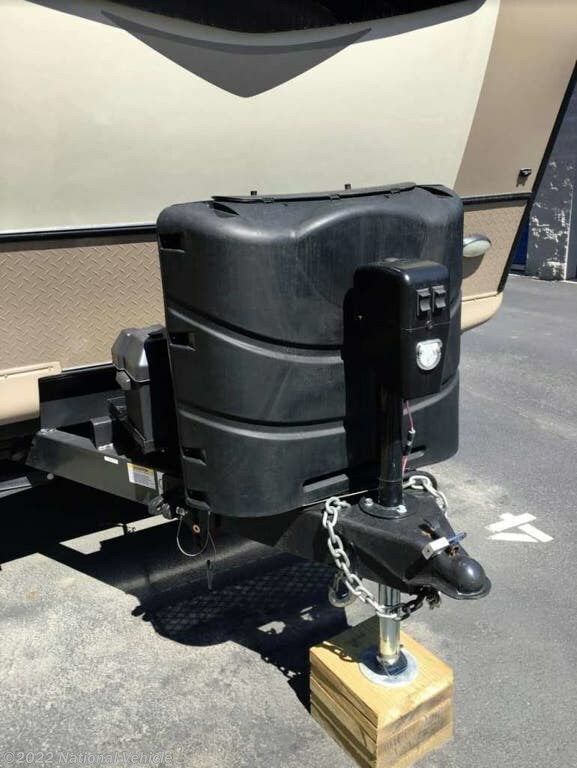 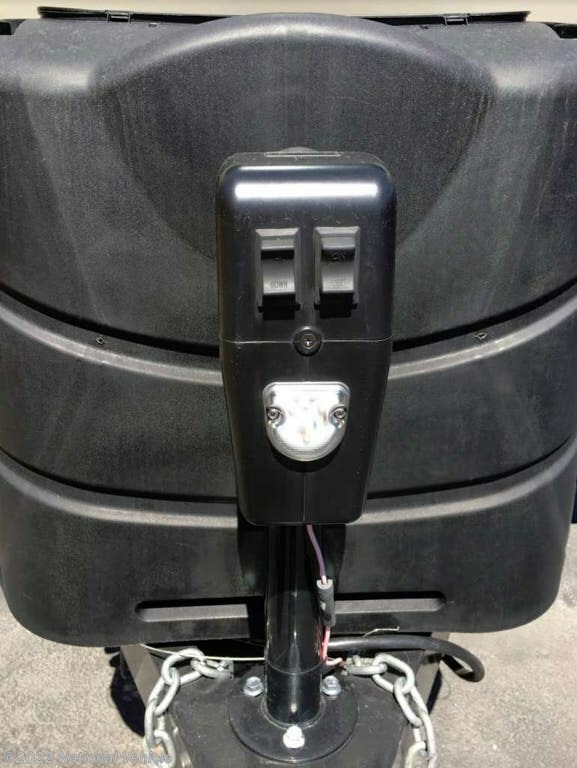 2018 Rockwood Mini Lite 2104S 21' Travel Trailer. 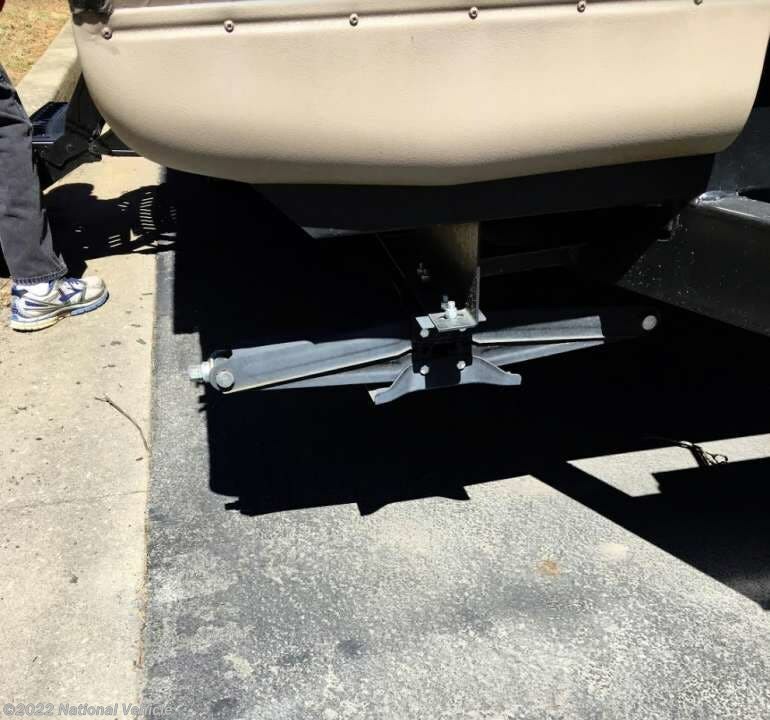 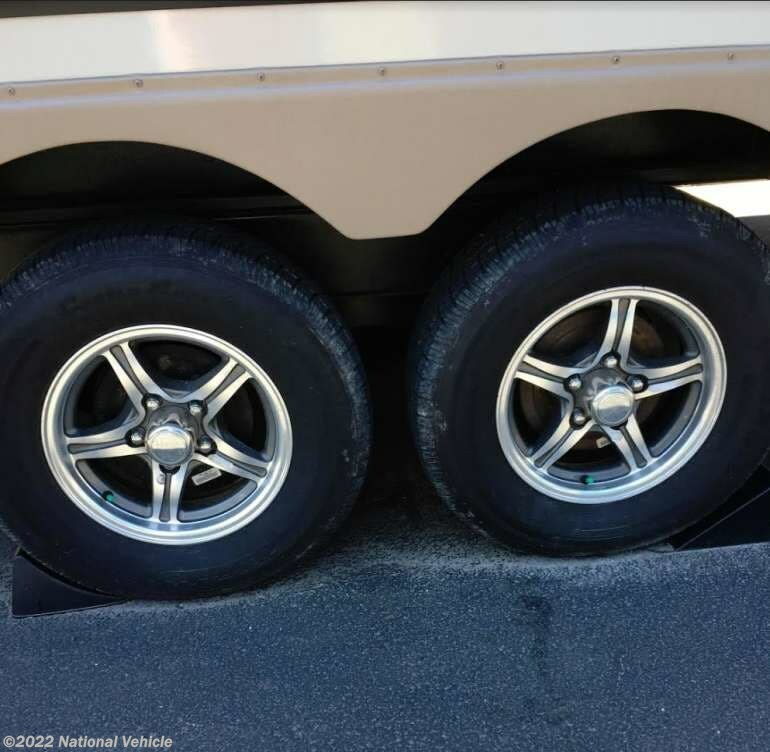 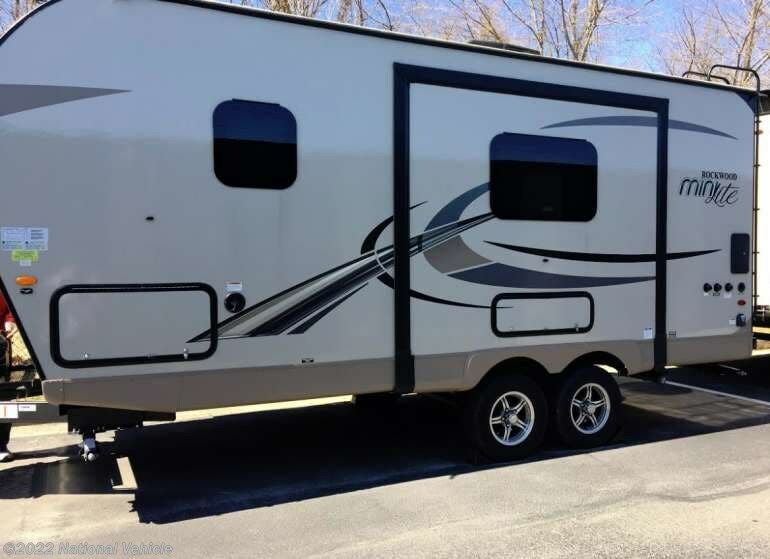 Slide Out, Awning, Sleeps 4, A/C, Leveling Jacks. 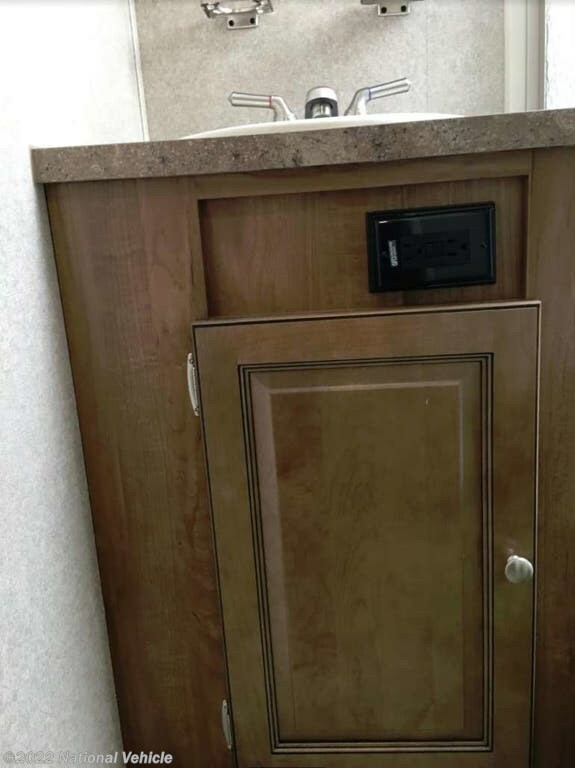 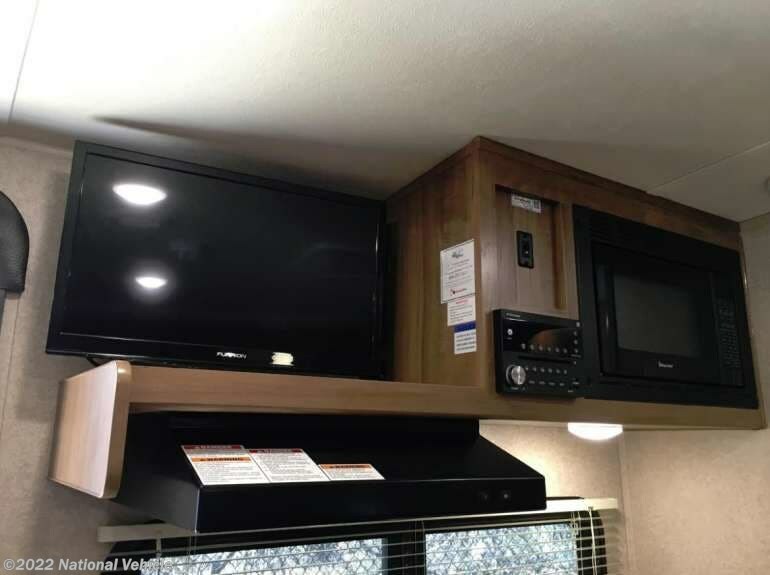 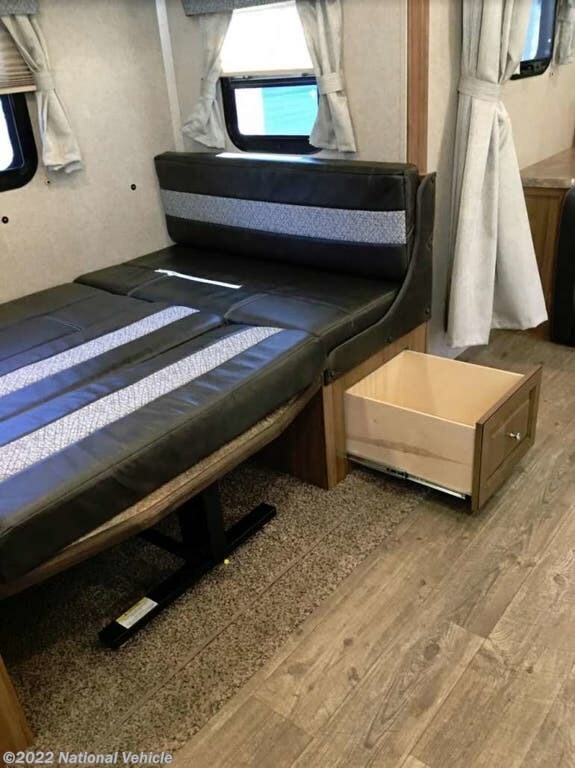 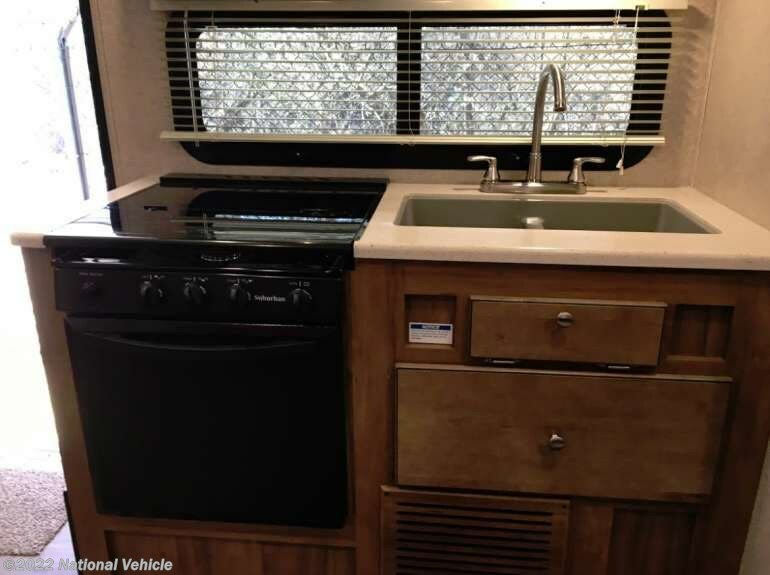 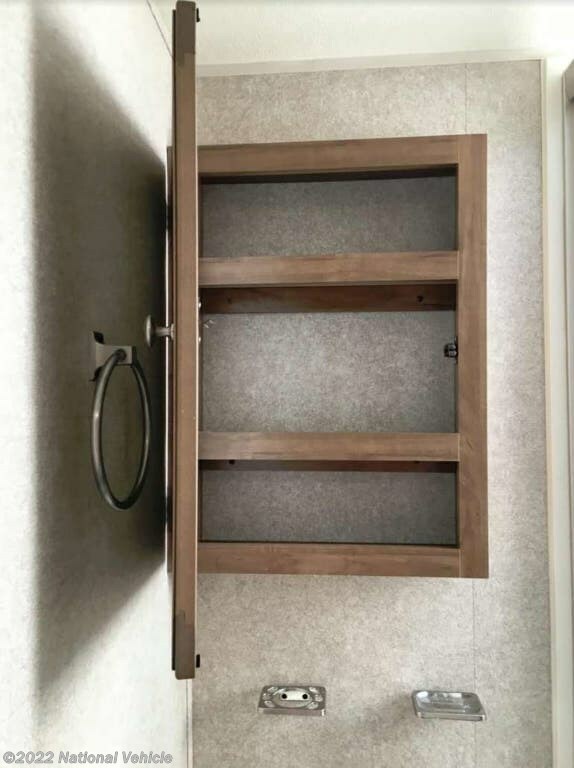 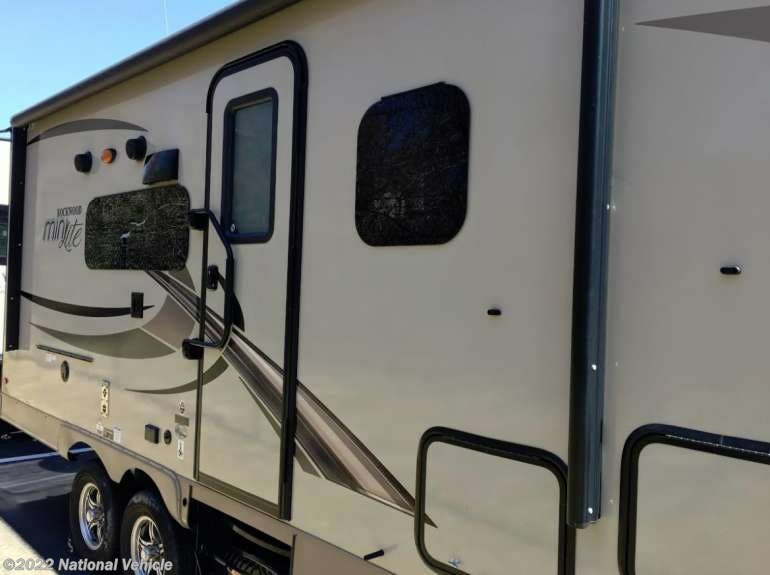 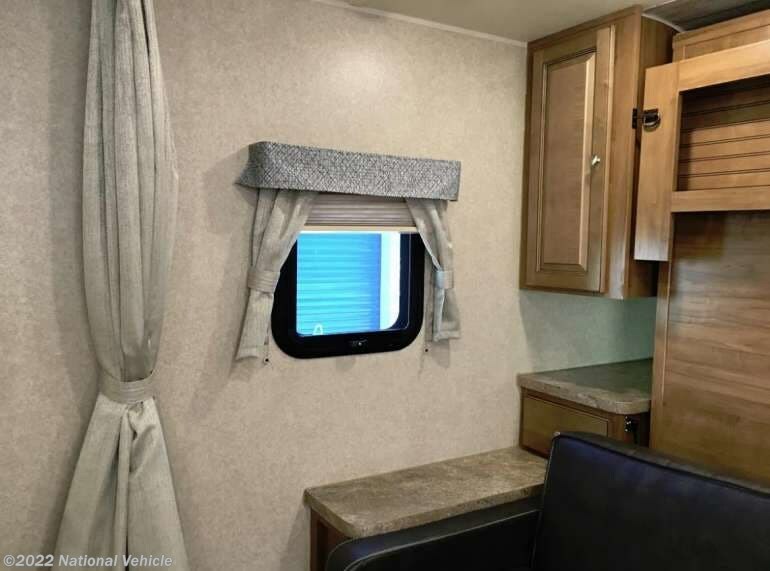 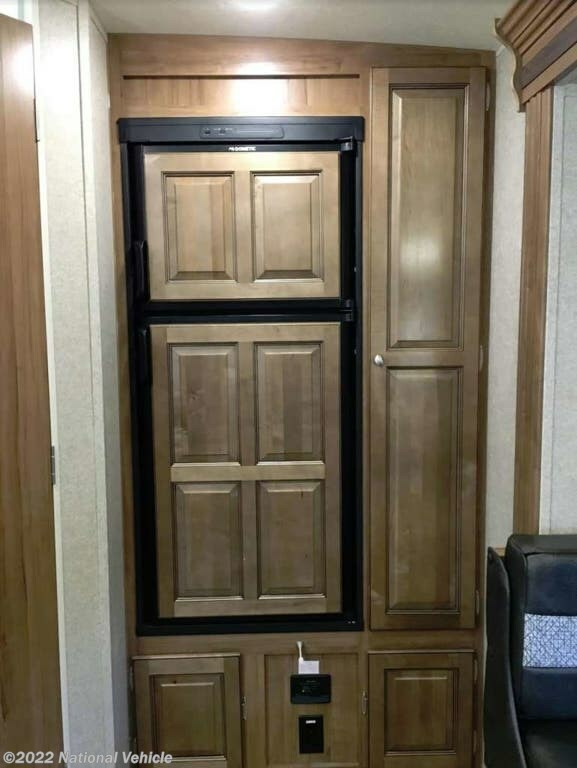 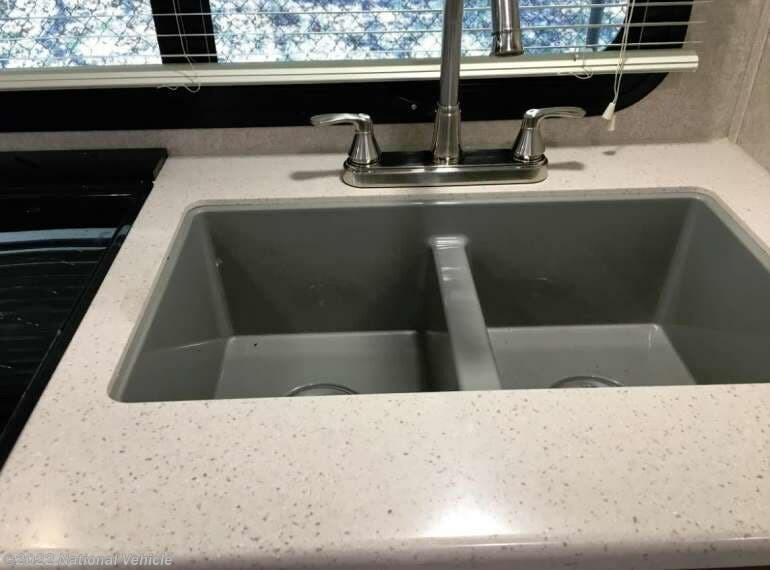 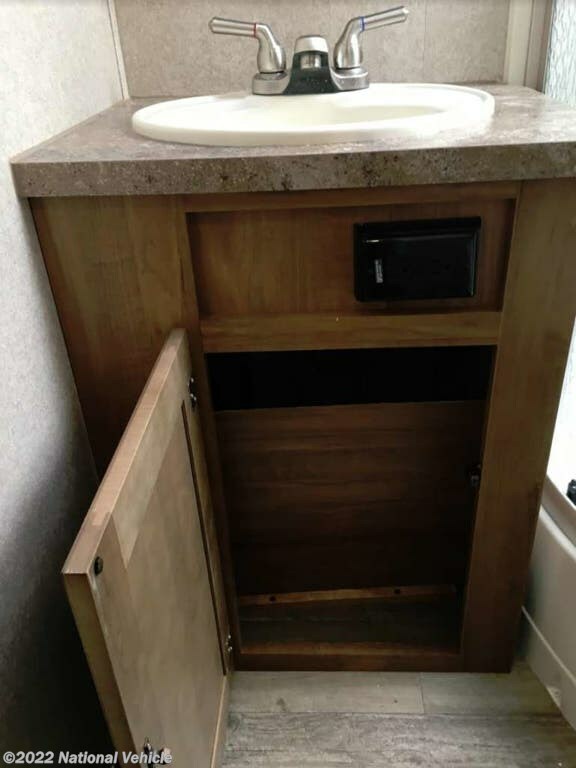 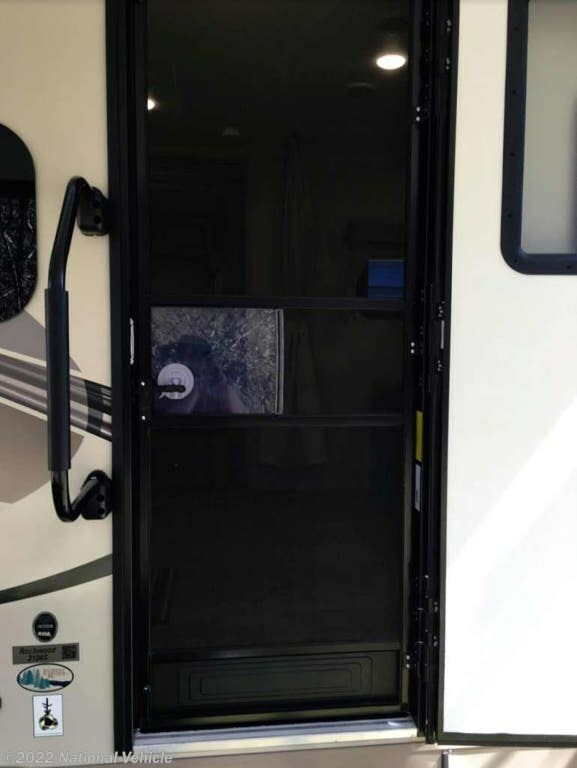 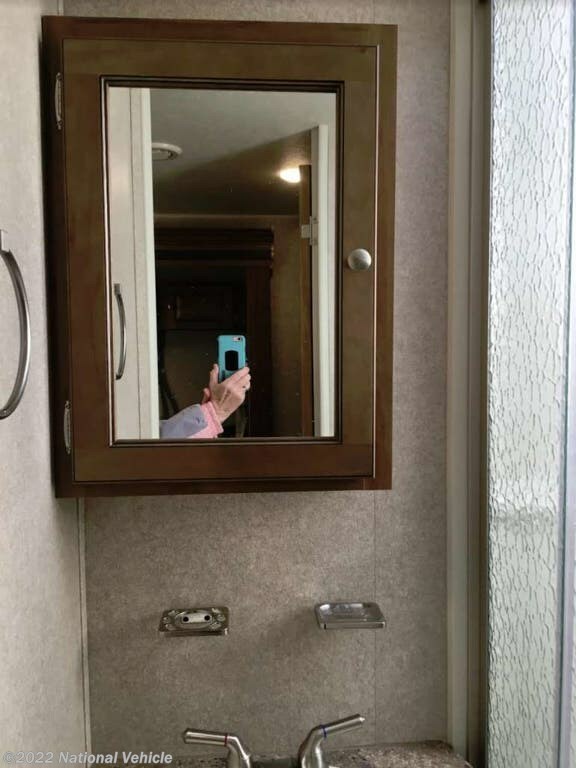 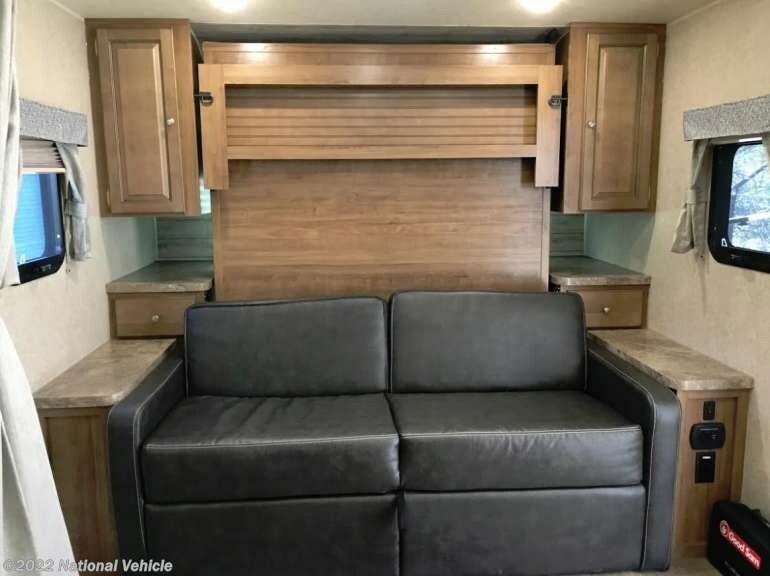 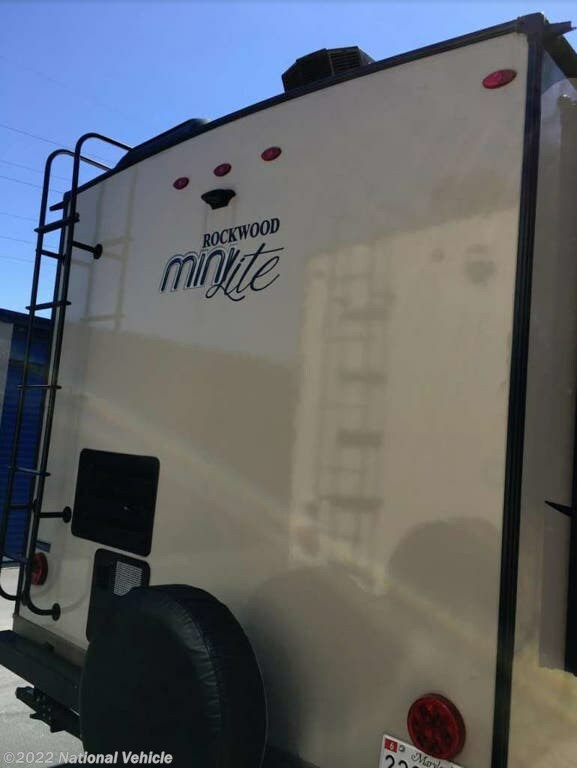 If you have been searching for a travel trailer with a front bedroom, a u-shaped dinette slide out, and a rear bath then this Rockwood Mini Lite by Forest River is for you! 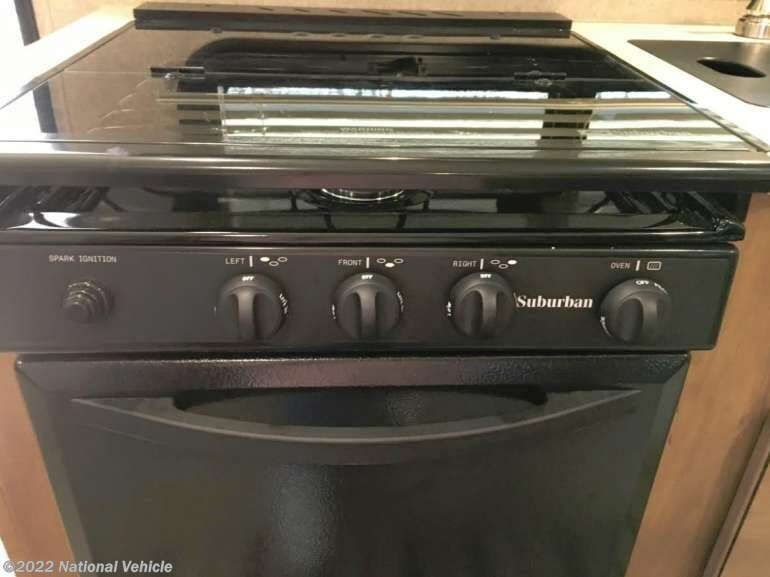 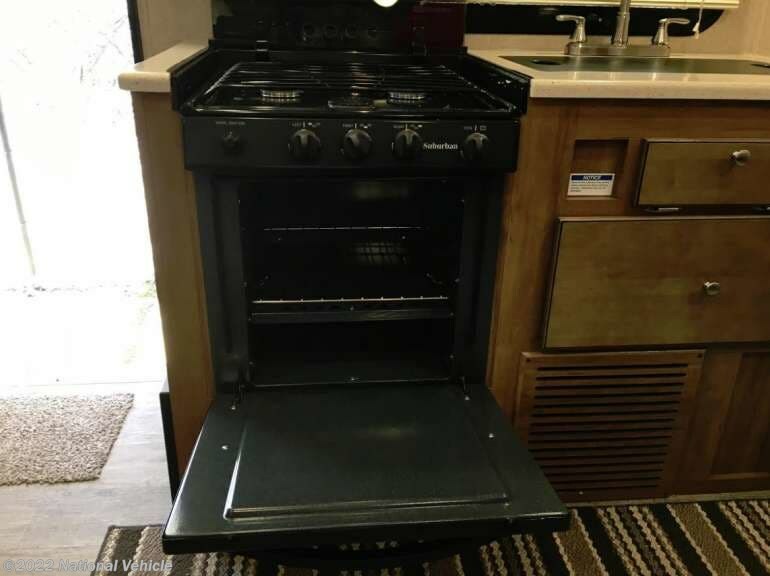 As you enter 2104S, to your left there is a three burner range with entertainment center above and a double kitchen sink with overhead microwave. 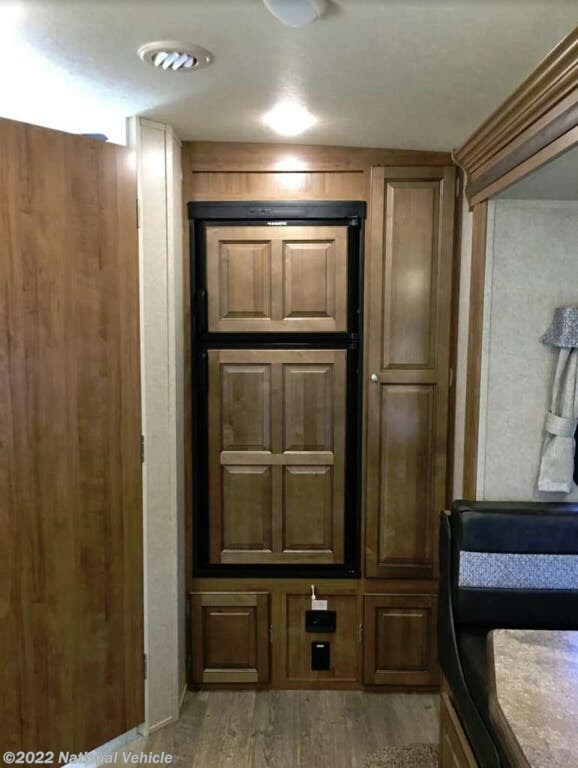 There is also a refrigerator and pantry along the rear wall for your food storage needs. 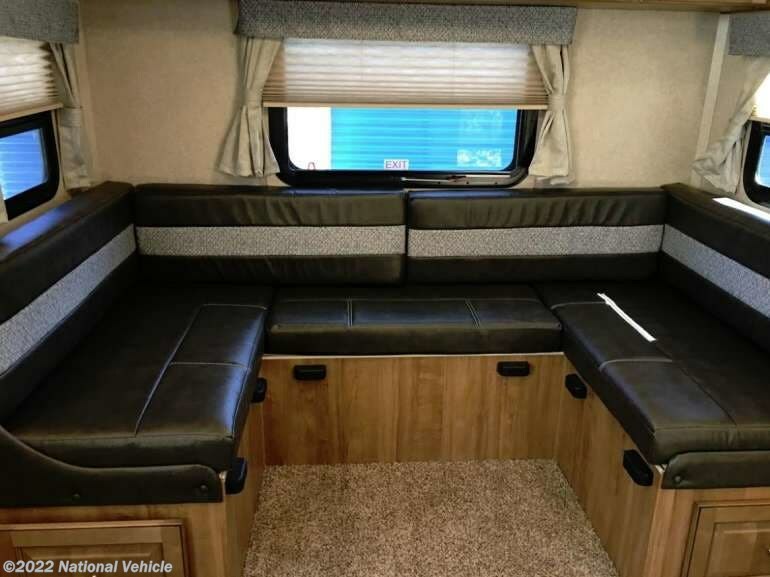 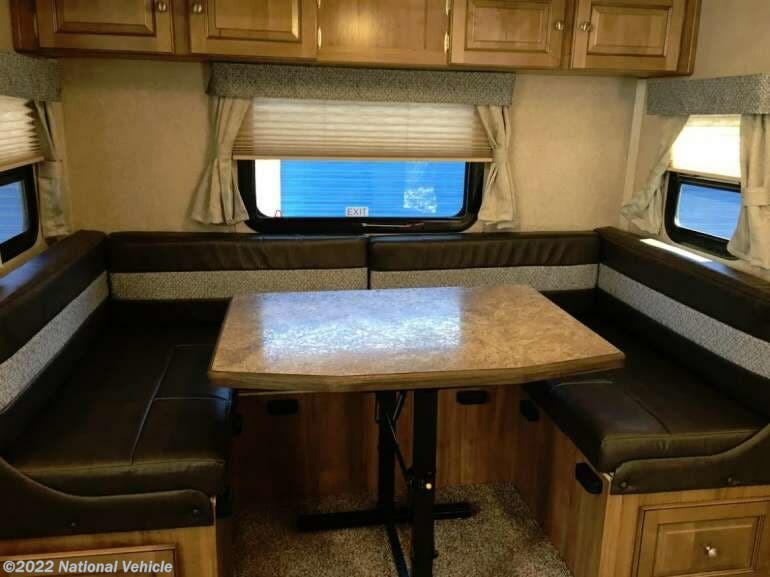 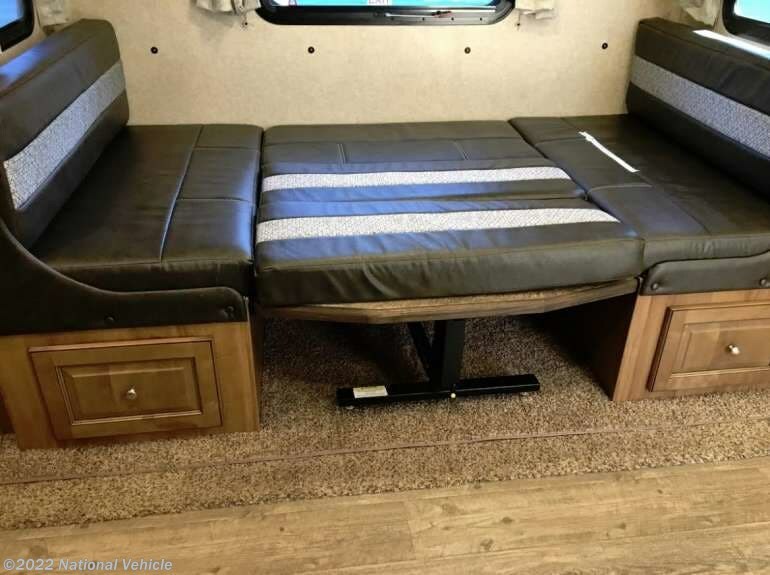 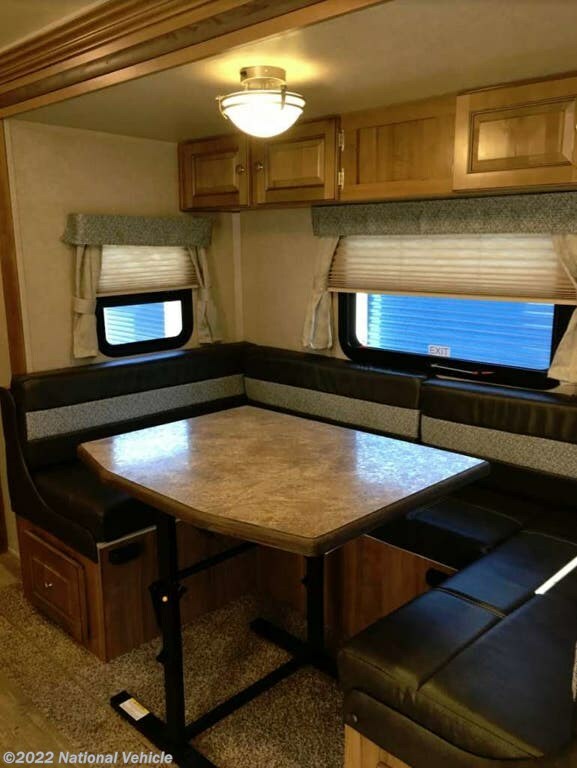 The u-shaped dinette and overhead storage is located on the slide out, which gives more open floor space in the travel trailer. 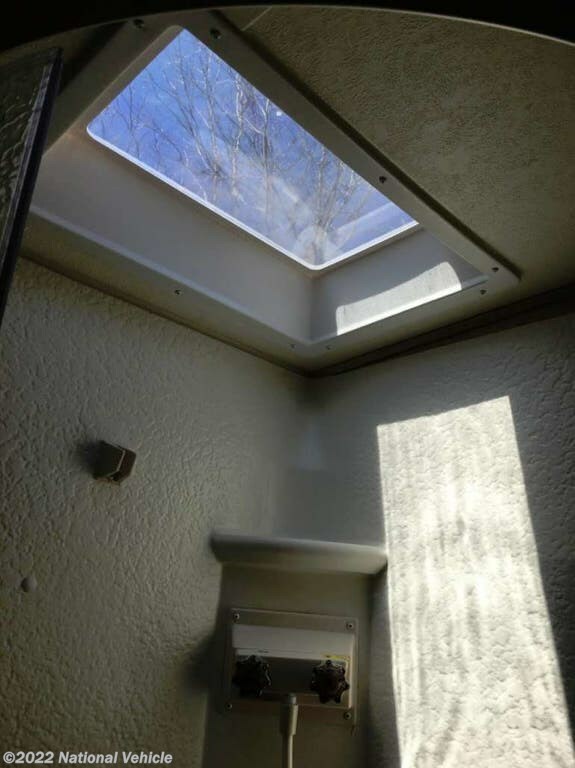 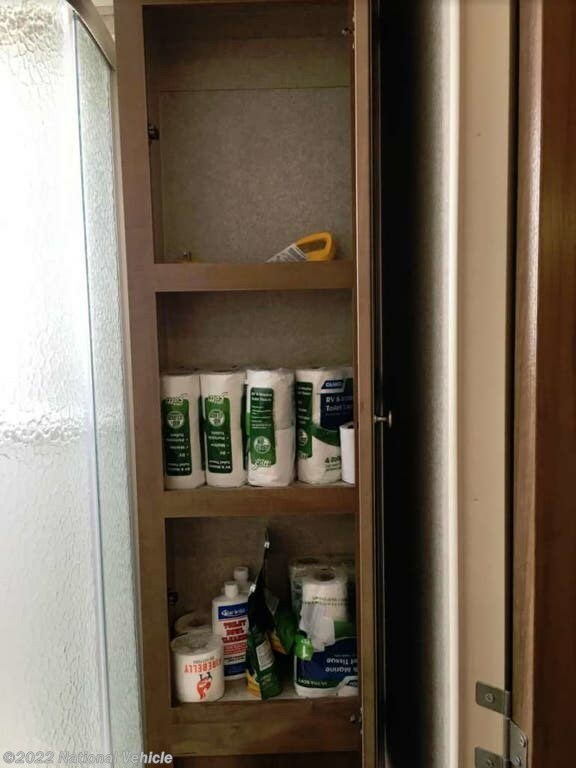 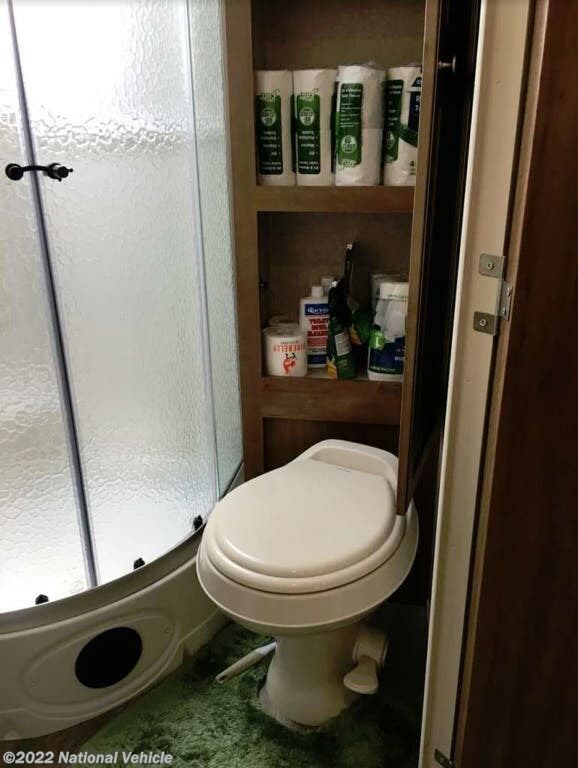 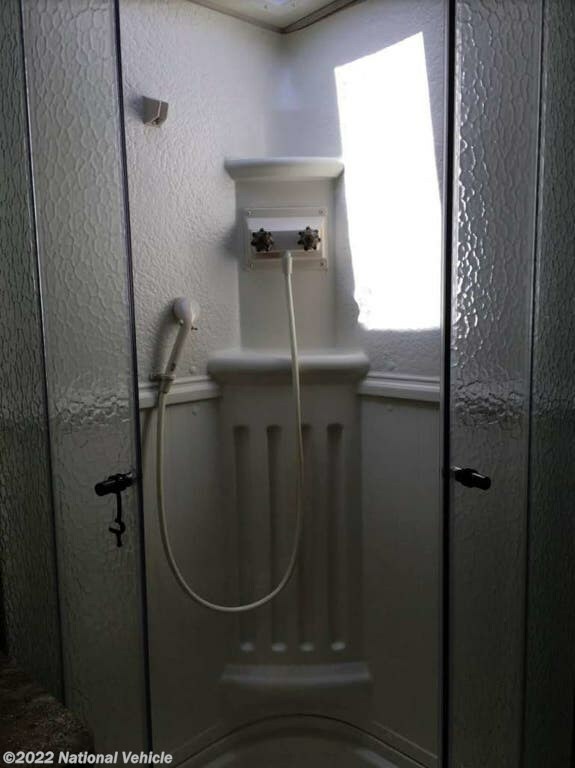 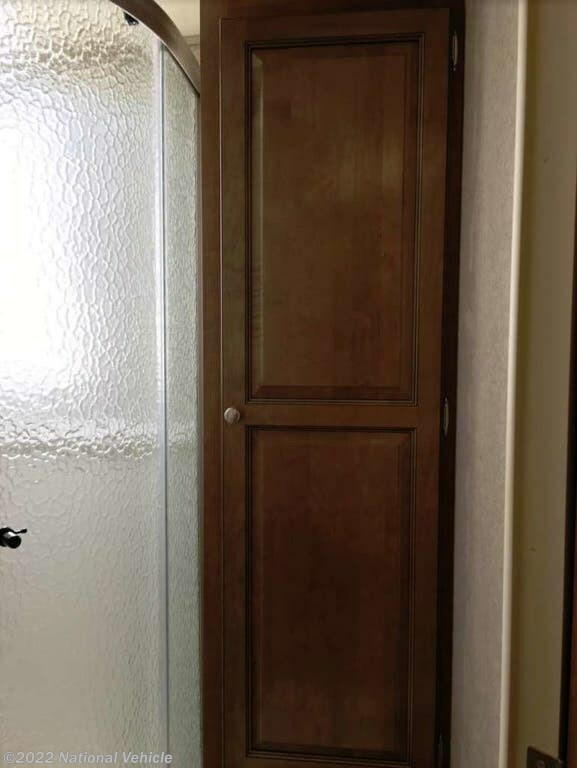 The rear corner bathroom includes a sink with overhead medicine cabinet, radius shower, and a toilet with linen storage above. 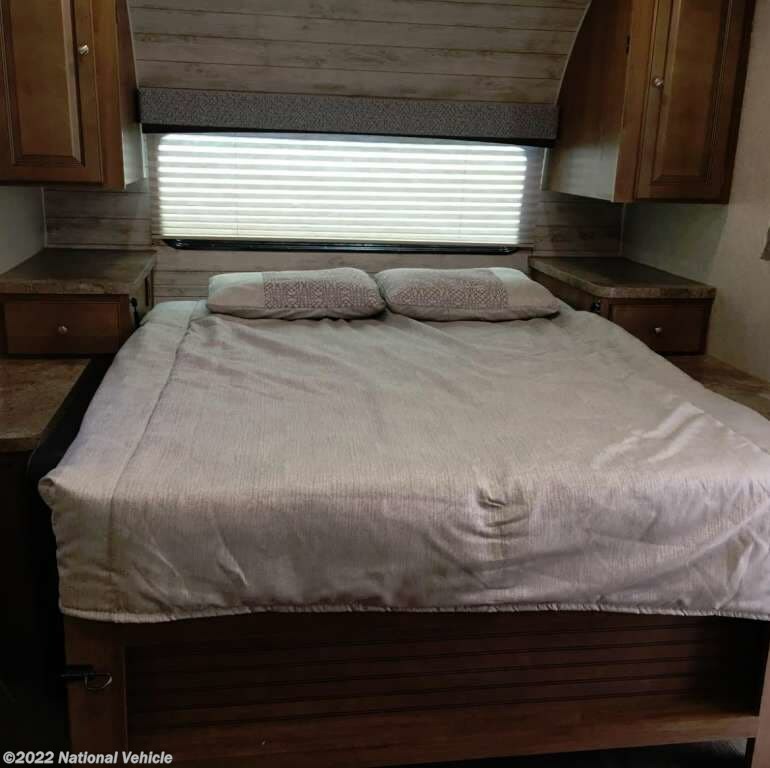 In the front you will find the master queen bed, dual wardrobes, nightstands, and overhead storage. 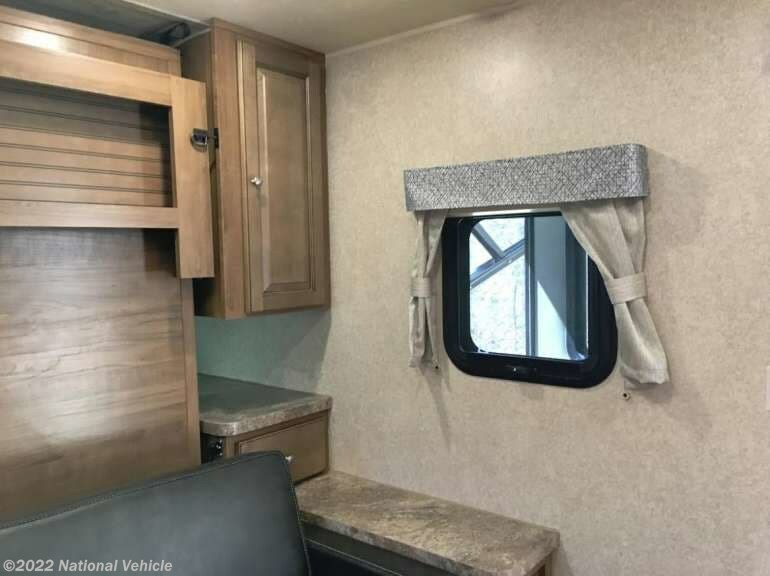 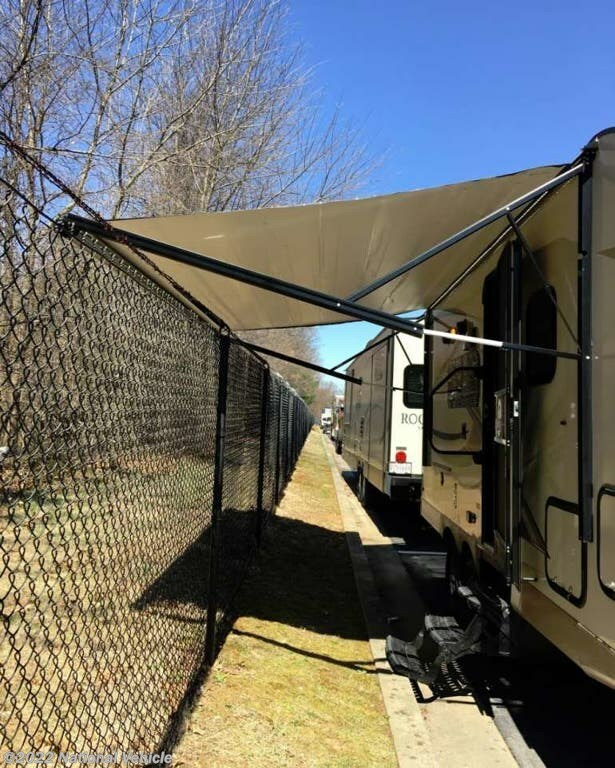 Outside you will find a 15' awning for shade, a gas grill for making burgers, plus pass through storage and additional exterior compartments for your outdoor gear. 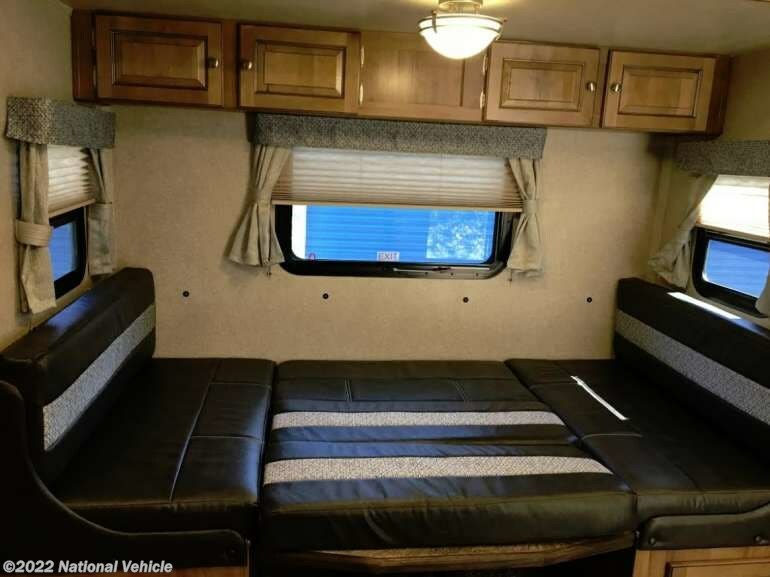 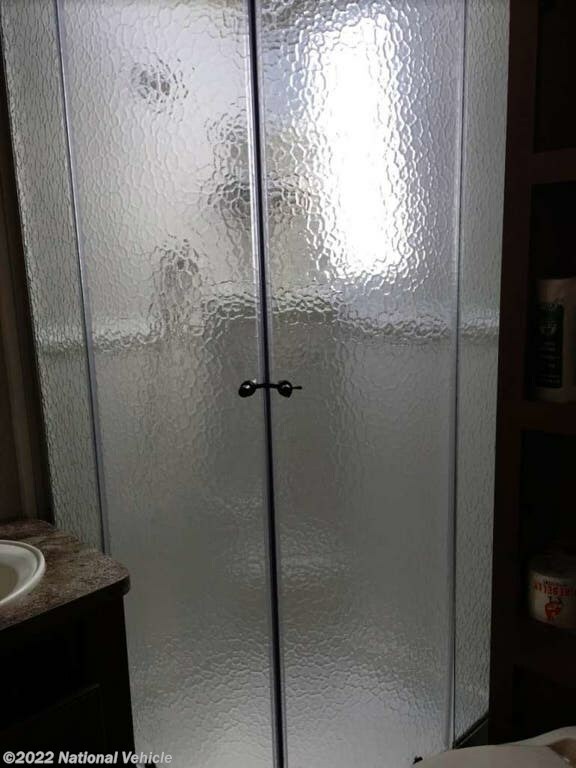 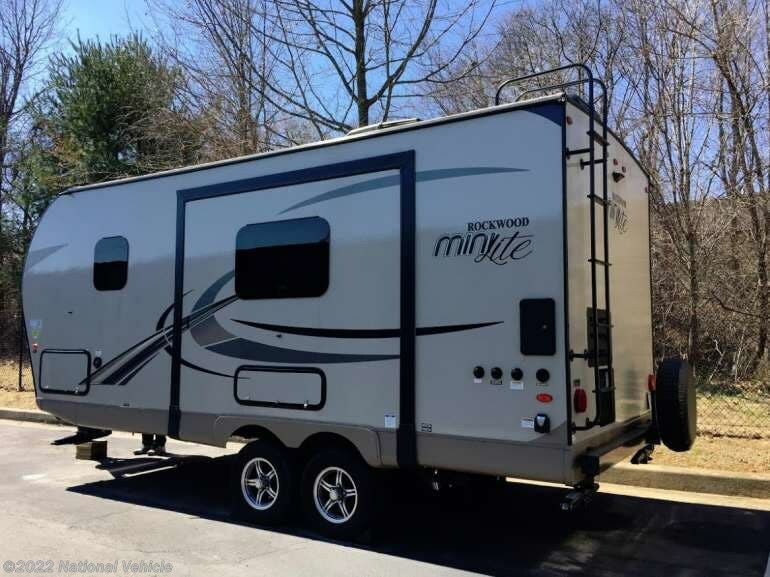 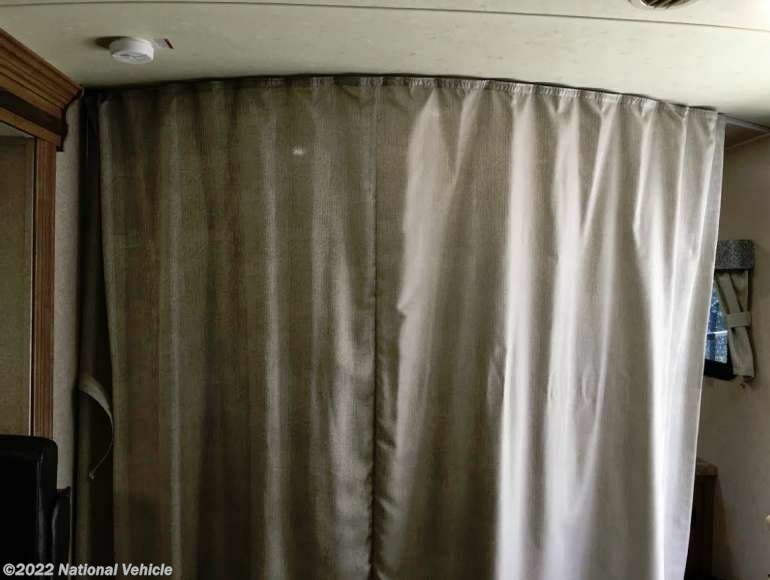 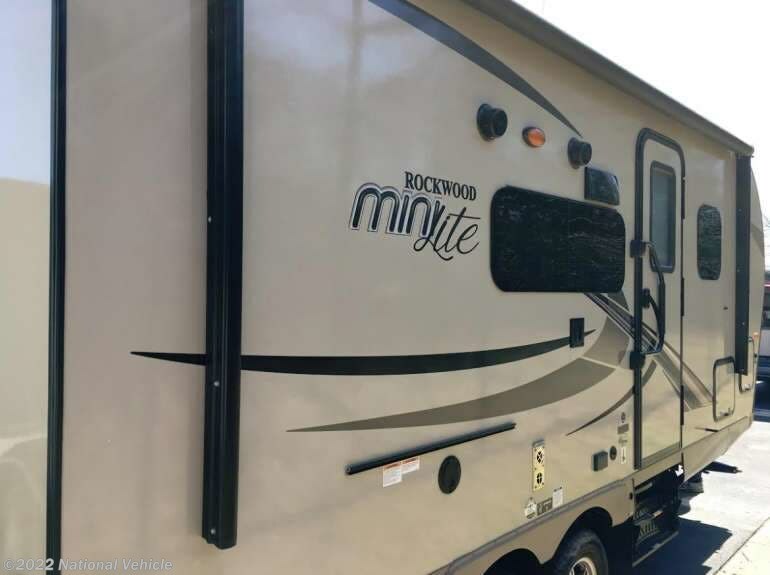 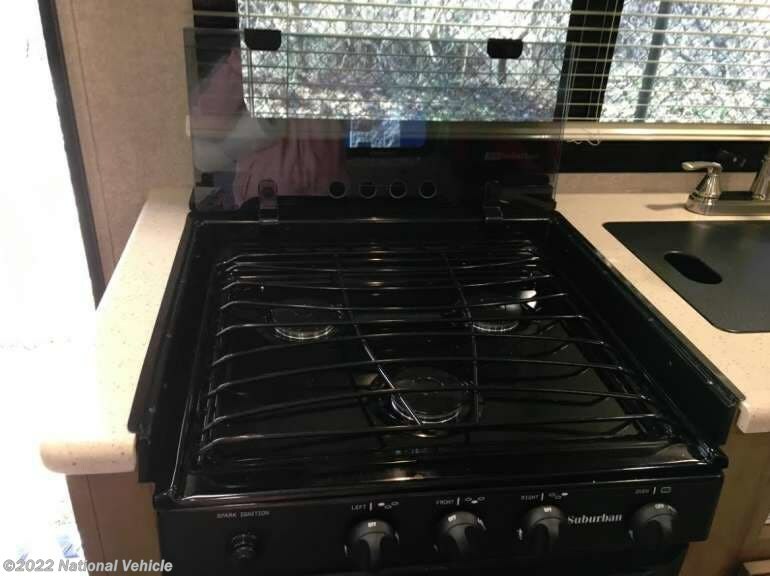 *This 2018 Rockwood Mini Lite is located in Reisterstown, Maryland.  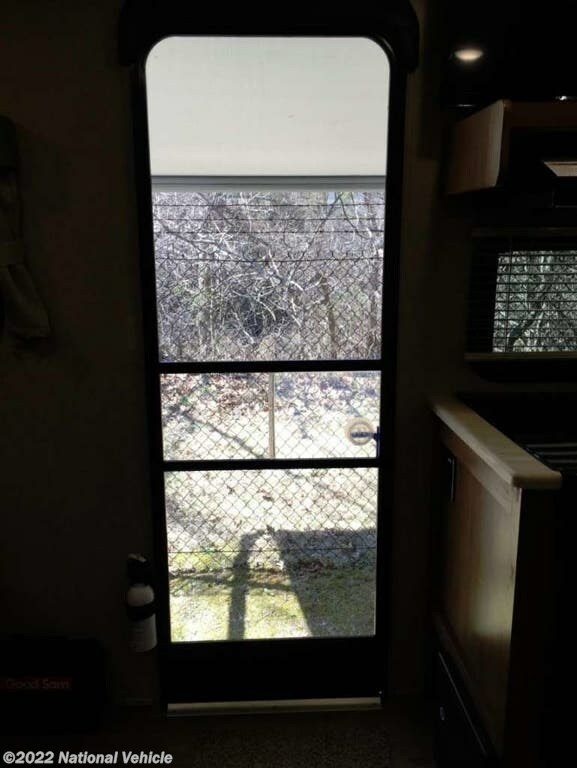 Please call 1-800-320-9557 and mention listing id: 137500.